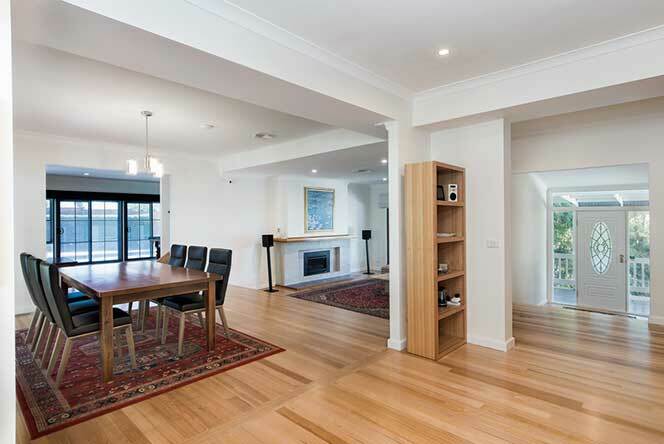 One of the joys of building and designing extensions and renovations all over Melbourne is we get the opportunity to meet lots of interesting people from all walks of life. Most have great ideas and special visions of the things they want to achieve for their new builds. Such collaborations can be a lot of fun and sometimes even result in some lasting friendships. 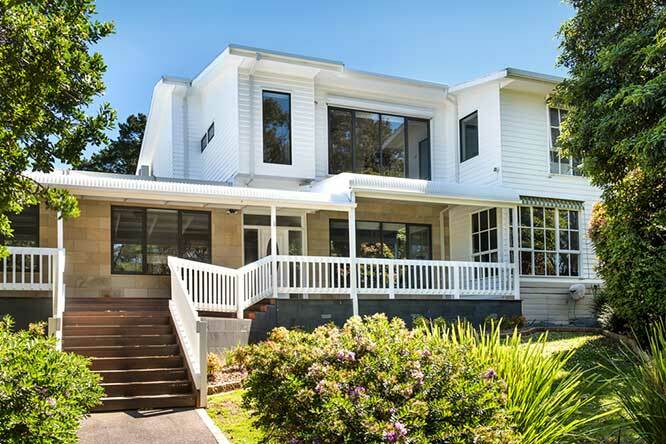 Wonga Park is a suburb with large acre blocks, where people love the open spaces and create park-like gardens around their spacious homes. This home renovation is a case in point. 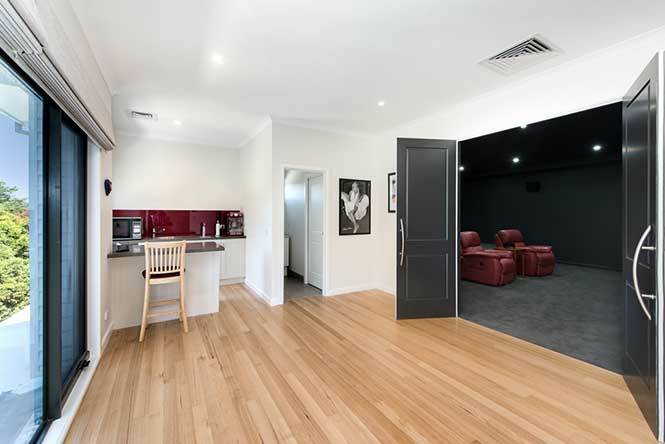 Our client Oswald knew exactly what he wanted and already had a planning permit and working drawings prepared for his second story theatre renovation and ground floor Kitchen, bathroom and laundry renovations. Although we usually, design all our extensions and renovations, on this occasion, the client and the design appeared to be a good fit with our style of building. An interesting and tricky requirement for this renovation was to stone face most of the ground floor walls with sandstone and apply bluestone to the walls of the sub-floor level. 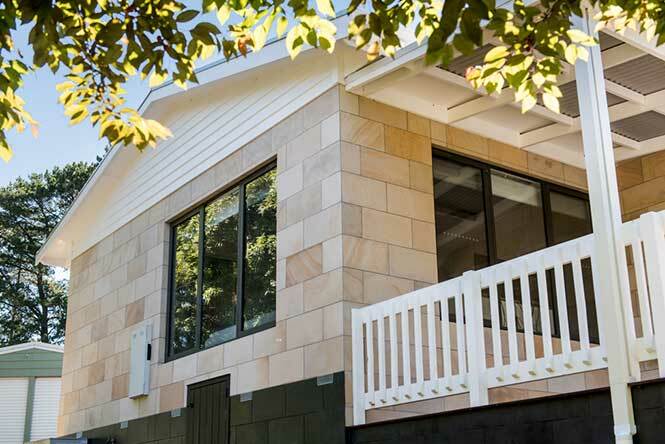 Oswalds’ choice of sandstone with the bluestone (from Yeomans in Eltham) works well, creating another aesthetic dimension to a previously all weatherboard house. Further enhanced by the floorless workmanship of our master tilers Albert and Con. This was a very difficult and technical job to complete and showcases Capitals wide range of craftsmanship and access to skilled contractors. 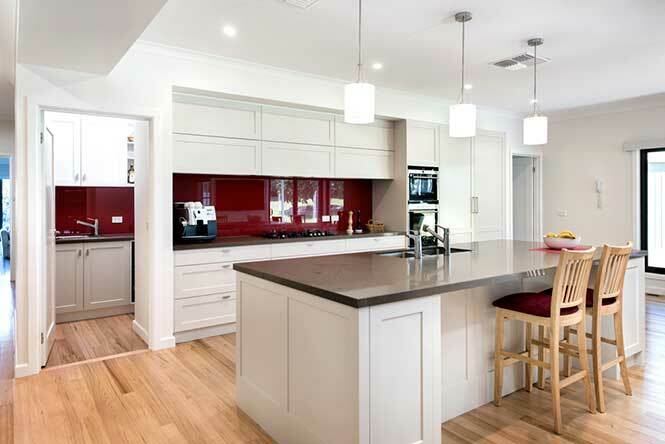 The new kitchen meals living was transformed into an open plan by the removal of two main walls creating a very large entertaining area emanating from the kitchen (with butlers’ pantry). Installation of some large beams was required to support the roof of this renovation before these walls could be removed. 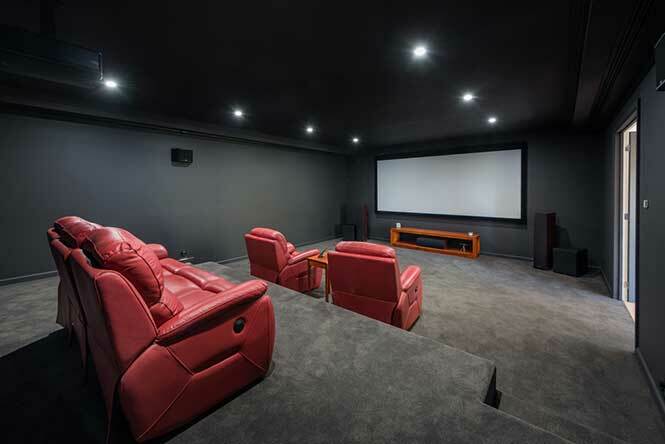 The cinema room, an upper-level extension with its own foyer, kitchenette and powder room also turned out to be a special area. The kitchenette even has a filtered hot water tap and Popcorn machine. The cinema has a stepped floor, insulated walls, double layers of plaster and solid sealed doors. The bulkheads for the air conditioning further seal and assist with the very good acoustic qualities of this purpose built theatre room. 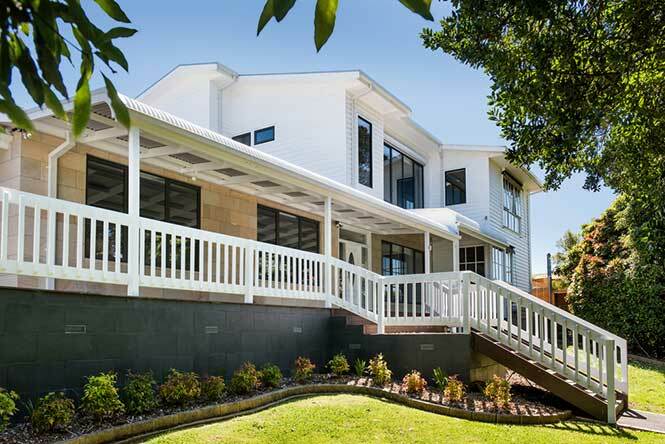 All the staff and contractors at Capital enjoyed working on this unique extension and renovation in Wonga park. Oswald was very discerning and great to work for. Completing his project required some extra attention to skills we don’t often have the opportunity to apply.